All Rural homes currently listed for sale in Erie as of 04/22/2019 are shown below. You can change the search criteria at any time by pressing the 'Change Search' button below. 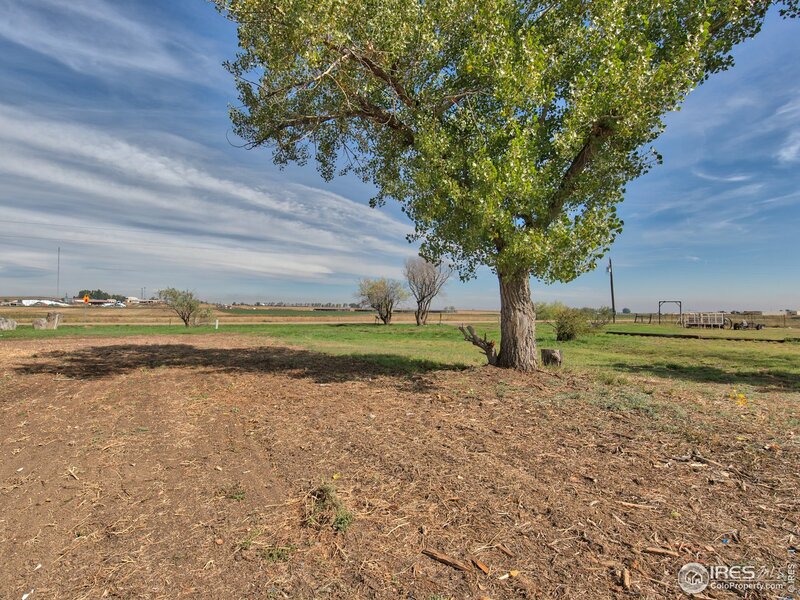 "Virgil George with United Country-Rocking X Land Company is offering for sale 955+/- Deeded acres of farmland in Lincoln County, Colorado,located south of Arriba on Hwy 63; NW 1/4 Section 6-T10S-R52W, NW 1/4 Section 32-T9S-R52W & All of Section 31-T9S-R52W. 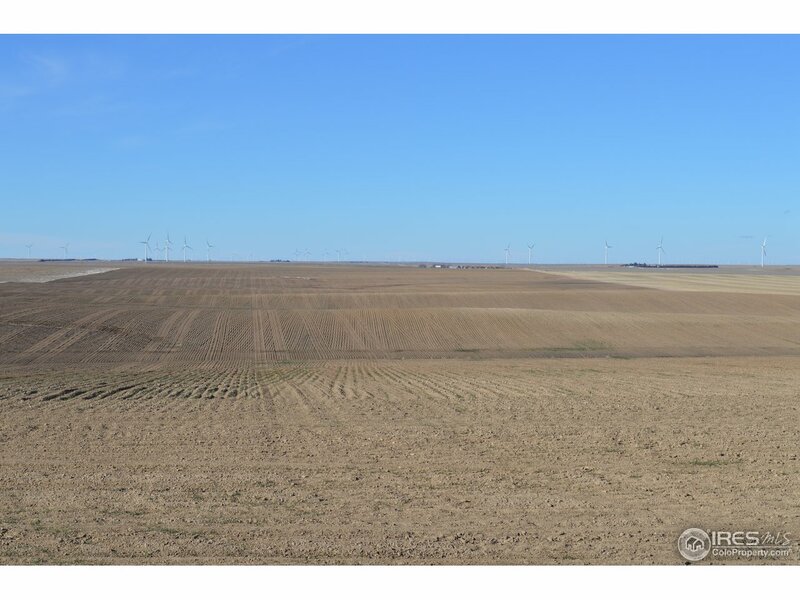 There are 964.6+/- cropland acres with 830+/- acres of growing wheat & 130+/- acres wheat stubble. 1/3 growing crop to buyer. 70% R. A. 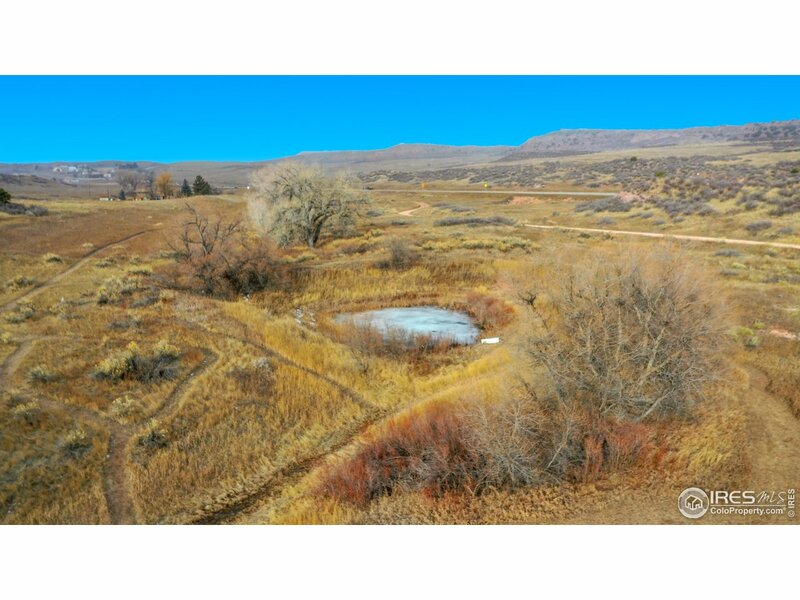 2017 Taxes: $2,453.84"
"This is a unique opportunity to own two parcels of ranch property with water! One parcel has 3 rental homes, seasonal springs, and a pond on 35+ acres. The second parcel is 48+ acres to build your own custom home and enjoy rental income. Land is partially fencedand there are multiple out buildings. Potential for this property is endless. 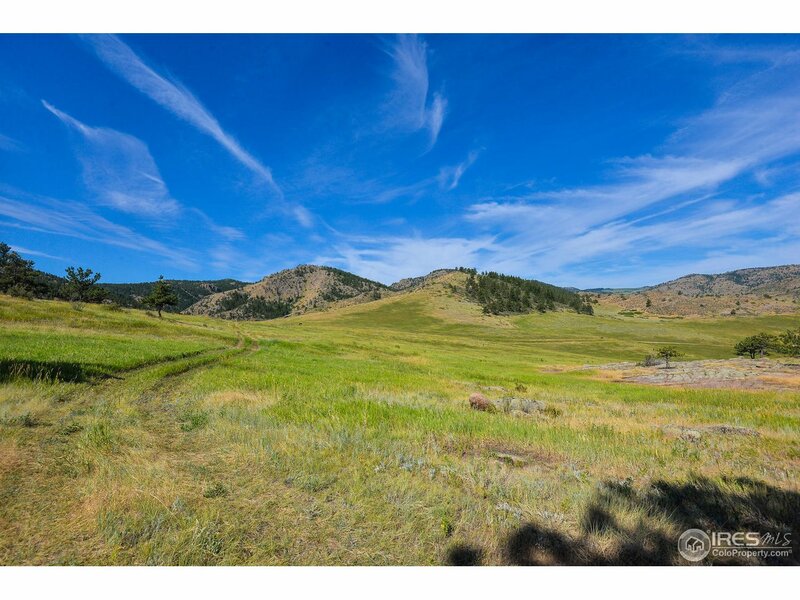 Quiet country living less than 30 minutes from Old Town Fort Collins." 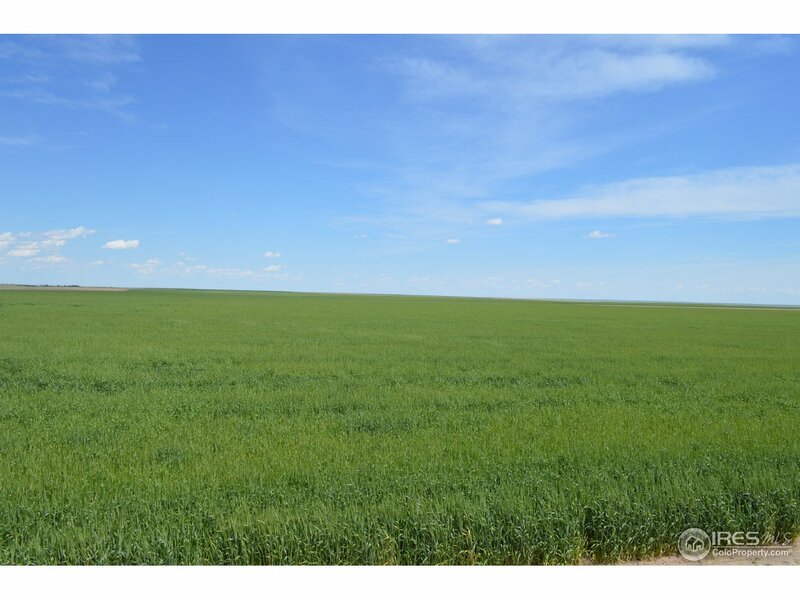 "960+/- acres farmland in Lincoln County, Colorado, northwest of Arriba. All of section 22 & N2 section 27, township 7 south, range 53 west. Landlord share of crop to buyer with reimbursement of inputs and crop insurance. Subject to 1/3 - 2/3 crop share lease through 2020. Seller shall reserve 100% of owned mineral rights perpetually. Wind generation lease currently in place." "This will be the gathering place for friends/family. 5 bedrooms/5 bathrooms. Bring your animals. Toys and hobbies.Kitchen w island, walk-in pantry. Main floor office, laundry, separate mud room. Finished walk-out basement. Fenced back yard Fenced/cross fenced, graded riding arena, loafing shed/tack room. 42x64 foot building, bermed shooting range. New: core tech plus flooring,Stain Master carpet, well pump, roof. Newer: Kitchen appliances, 85-gallon water heater, septic tank,Generac generator." "Quality built Modular home with over 3500 Finished Sq. Ft on 11 Acres. Lots to like about the house but many other features outside to awe you. Mud/laundry room. Attached 4 car garage. 60x60 barn with doors for 6 stalls,3 spouts for water tanks. 20x15 tack room. 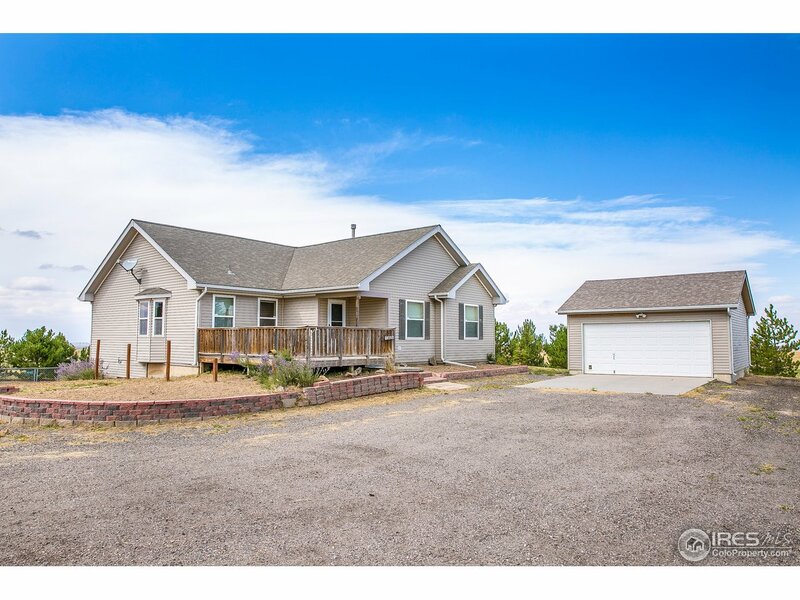 Wonderful 45 x 120 foot shop/garage; heated, drive through 16 foot doors for the RV,laundry room, bathroom and a man-cave that could be an apartment. 7 miles to Hudson & 12 to Brighton. Bring the horses,and more. Nice pasture area"
"Thoughtfully built with sensible luxury. Passive solar gain construction details for cooler summers and warmer winters with out a hefty utility bill. Quiet living with room to spread out while still having access to in-town amenities. 30 min to Old Town Ft Collins, 20 min Cheyenne. Nearly 400 trees have been planted in a variety of species cared for by drip irrigation. Views of Longs and Pikes Peaks! So many features we needed an extra doc. MUST SEE"
"Back on Market! WELCOME HOME! 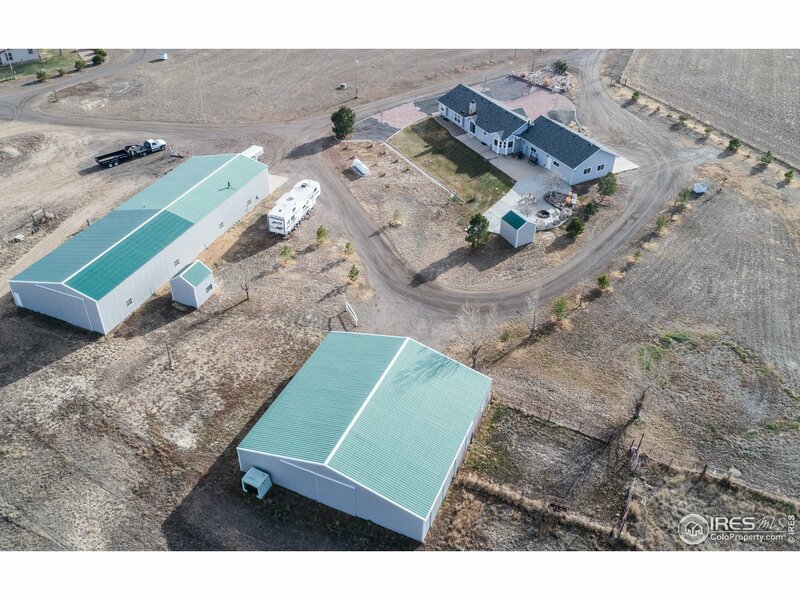 This spacious ranch style modular home w 3000+ sq ft of finished space on 40 acres!This beautiful home sits off the road w its own private driveway to the back of the property. 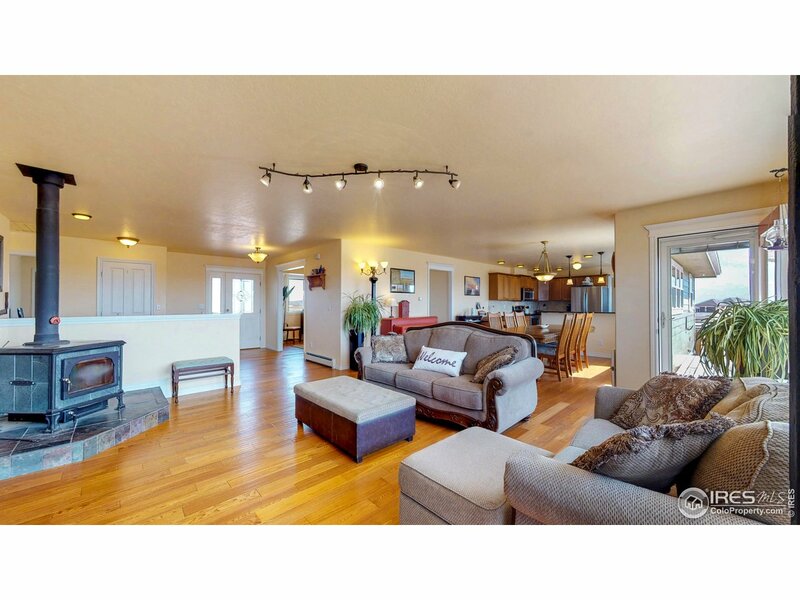 As you enter the home you are met with an open floor plan & fantastic views of the mountains! The main floor features large master suite with walk in closet, 5 piece bath w double sinks & soaking tub,gas fireplace to be enjoyed from the master or the bathroom. Large main level laundry." 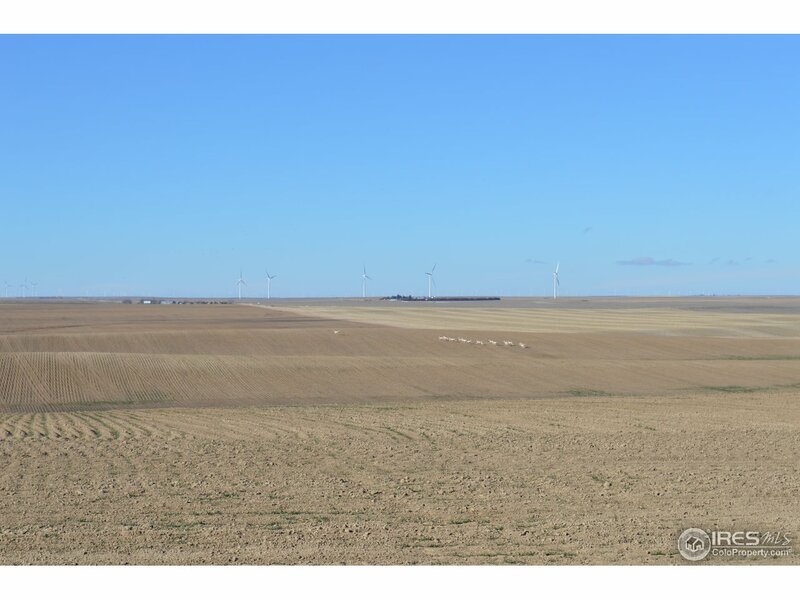 "640+/- acres farmland in Lincoln County, Colorado, northwest of Arriba. All section 36-T8S-R54W. Landlord share of crop to buyer with reimbursement of inputs and crop insurance. Subject to 1/3 - 2/3 crop share lease through 2020. Seller shall reserve 100% of owned mineral rights perpetually. No wind generation revenue available." "Country living w/ easy city access! This home is all new including roof, gutters, & downspouts; beautiful kit. 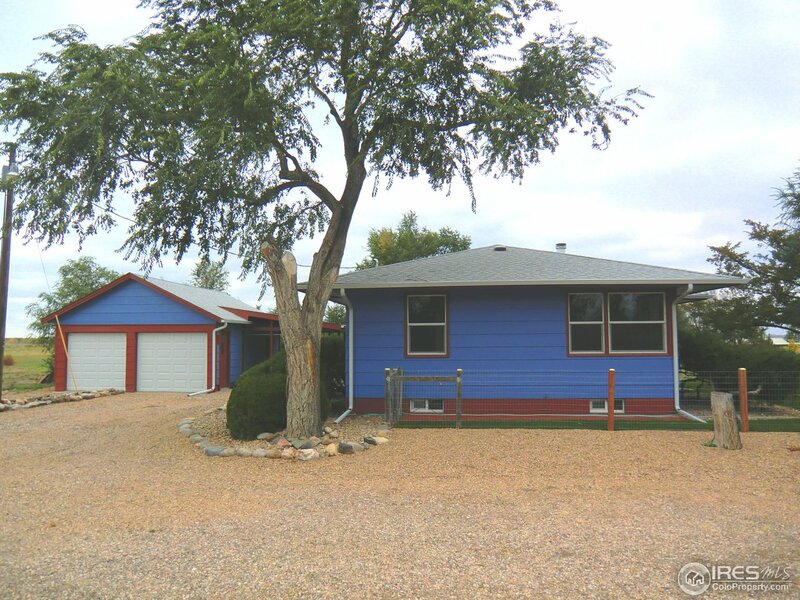 cabs w/ newer counters, appls., & tile floors; remodeled full & 3/4 baths; shiny hardwoods; vinyl windows; new carpet; freshly painted; new electrical switches, outlets, lights, & main panel! New septic March '19! Enjoy movie nights snuggled around the wood stove! House & sprinklers on Morgan water but also a domestic well! Oversize detached 2-car garage! 5 level acres! Come quick!"